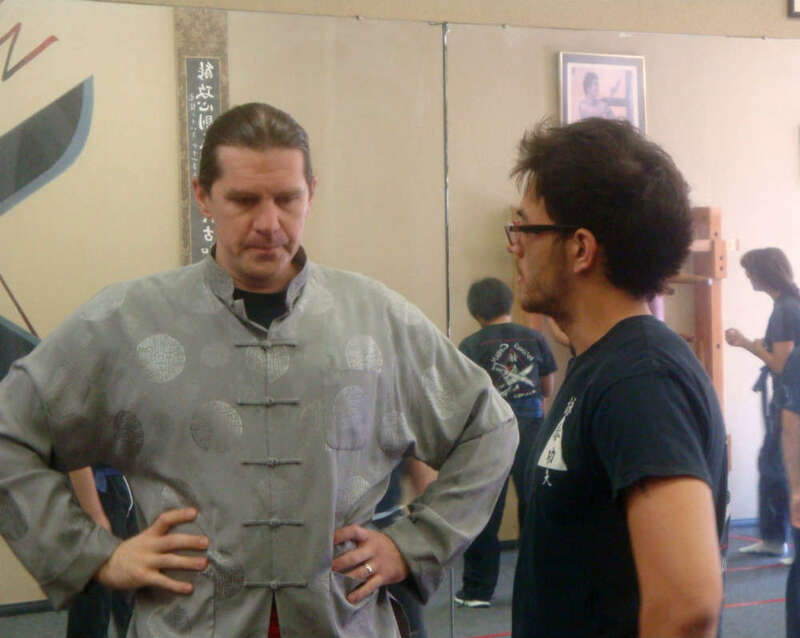 I recently sat down with sifu Alon Peterson in Los Angeles, CA - USA (his school is located in the San Fernando Valley/Sherman Oaks area), and got many answers to many questions about Wing Chun, teaching, training, learning, and of course life. Most of the questions I had for him were submitted by WingChunLife.com readers like you. These were very honest questions; and answers. And I think you'll like knowing what's on your sihings, sidais, sijies, and simeis' minds. You probably have many similar questions. I start the Q&A easy, then I pop him with question #6: What’s the biggest challenge you have teaching new students? I hope he doesn't hurt your feelings with his answer. Disclaimer: I've known and trained with sifu Alon Peterson for a long time. He is my current full-time sifu. After interviewing other sifus from Peru to China , it was a pleasure interviewing him and sharing it here. A. My instructor is Master Joseph Sayah, who trained under Grandmaster William Cheung, who in turn was one of Yip Man’s direct students. 2. What’s your martial arts background? A. I studied Karate for ten years, mostly Shotokan. I received a black belt in Tae Kwon Do and an eclectic style named Sei Ei Do (under Master Dave Johnson). 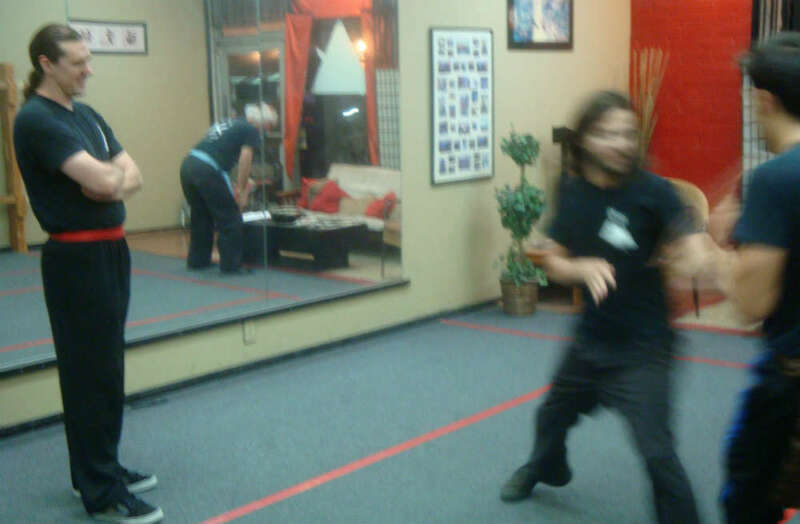 A brief training of Yang style Tai Chi and over fourteen years of Wing Chun Kung Fu under Master Joseph Sayah, who is a student of Grandmaster William Cheung. 3. How did you gravitate toward Wing Chun? A. Tae Kwon Do had gotten me very comfortable with kicks, but I felt my hands had been neglected. I liked what I saw of Kung Fu, and was lucky enough to come across Wing Chun, which had exactly what I was after. 4. What did you find appealing about Wing Chun, why did you stick with it? A. I’m a huge proponent of efficiency, and Wing Chun is the most efficient style I’ve ever seen. Also, I’ve never seen another style out there that gives a practitioner more control over an opponent while leaving the practitioner’s options as open as possible. All that control and efficiency allows for blinding speed and precise timing, two of the biggest keys to winning any fight. 5. When/why did you decide to become a sifu and start a school? A. I never wanted to do anything more than martial arts, but I didn’t see it as a good career choice at first. Running classes was a requirement for my black belt when I was studying Tae Kwon Do, and I discovered that I truly enjoyed it. By the time I moved on to Wing Chun, I saw that it could be a successful business and jumped at the chance to do what I love for a living. 6. What’s the biggest challenge you have teaching new students? A. With Wing Chun, the biggest hurdle for beginners is coordination. Most people are physically capable of doing almost all of the techniques in our style right off the bat. The tricky part is telling your body when to do what. 7. What’s the biggest challenge you have teaching more advanced students? A. To move synchronously with the opponent’s energy. It is a skill that only comes with time and repetition until you can feel it for yourself. 8. What’s the biggest challenge you have with yourself, as a sifu and/or owner of a school? A. My biggest challenge has been in becoming a salesman for my business. My personality has always been more that of a technician than of a salesman. Wing Chun is a way of life for me and I try to share that with my students. I am not in this business for money; I do it because I love what I teach and am convinced that it will benefit those who participate. 9. If you could download your knowledge into students, like downloading a computer file, what file or files would you download first, why? A. I’d start with stances and footwork. I always make my students focus on that first, because your arms will never be effective without proper foot placement. Once those files were installed, I would move on to arm structure, hip rotation, and energy sensitivity. A. I’d start with in-depth medical and anatomical knowledge. I’ve taken an interest in the inner workings of the human body over the years and find that the information can be very useful in many areas of life. 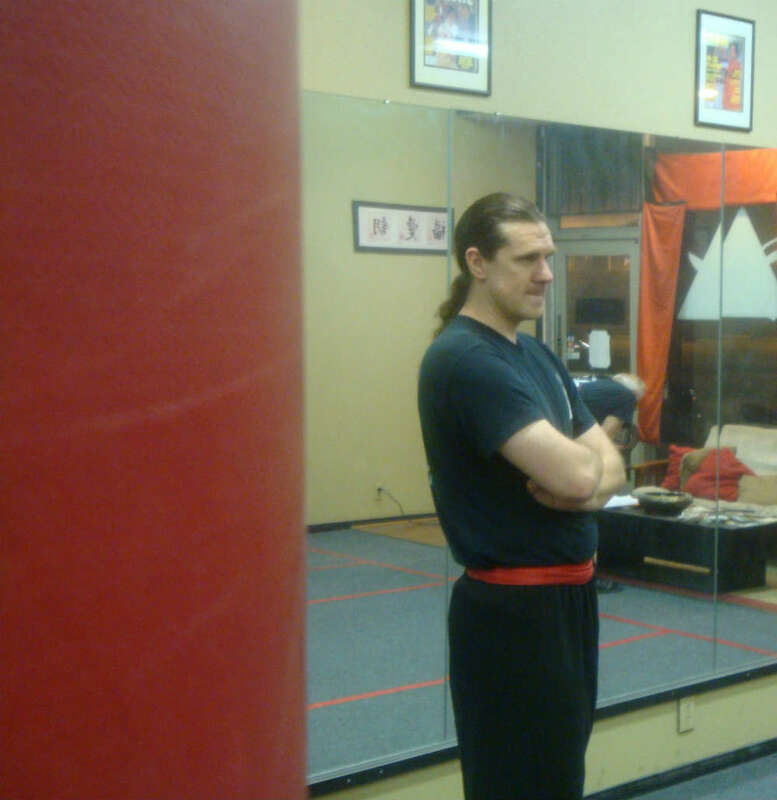 A. I see myself teaching Wing Chun, expanding our training programs, and producing quality Instructors. 12. I feel like I’ve hit a plateau in class and it doesn’t feel like anything new is registering. How can I get past that? A. Hitting a plateau in training is like driving through an unfamiliar neighborhood and finding yourself on a dead-end street. Basically, you have a destination in mind, but the way you’re trying to get there isn’t working. If you are able to, I recommend talking to your instructor and see if they can’t find a way to explain things and put your thinking on a path that yields better results. If that isn’t working for you, sometimes it pays to set the problem aside and work on something entirely different for a while. In Wing Chun, nothing should ever feel like a struggle, so if you find yourself feeling stuck, back off and look for a different angle of attack. 13. How has Wing Chun changed your way of life? A. Well, I’ve obviously devoted a large portion of my life to this style, so it has definitely changed how I spend my time. Physically, I’ve noticed countless improvements in my reaction time, reflexes, and coordination - which go hand-in-hand with the nature of Wing Chun training. Psychologically I find it easier to make quick decisions and be confident in my choice. I also find that normally stressful situations do not affect me as much as they used to. 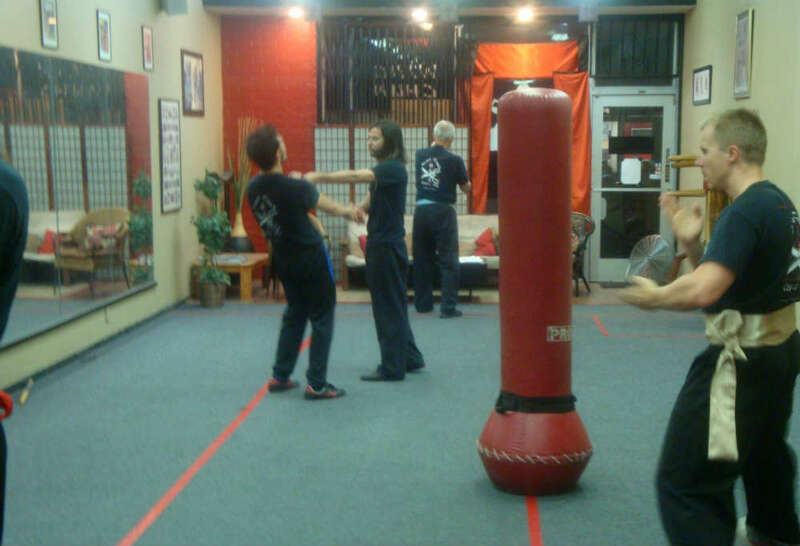 So essentially Wing Chun has improved every aspect of my life. 14. It would be good for readers to know how martial arts can change one’s attitude and way of life, in terms of spirituality. Aside from the physical aspect of Wing Chun, how can the principle of not fighting force against force, but rather redirecting an aggressive force, help one’s way of life with day to day problems? A. Wing Chun principles can apply to everyday life in many ways. The idea of maintaining calm, relaxed energy while also keeping your focus sharp is one example. Your question is also a very good example. Often, there are problems in our lives that do not involve direct conflict with another person. In those cases, it is your own emotions that need to be redirected. If a problem cannot be ignored or avoided without making things worse later, the best thing to do is to accept that the problem absolutely must be dealt with. Instead of getting angry or stressed about the issue, you should put that energy to better use by resolving the situation as quickly and effectively as possible. 15. How is it possible to get to instructor level in Wing Chun through a correspondence course? Is this for real? A. I have heard of people doing it, but I cannot personally attest to how well it works since I have never tried it. My personal feeling is that someone who does not attend classes regularly with a good instructor is going to be at a definite disadvantage against someone who does. 16. I think the reason grapplers do so well in the UFC is because it was designed by jiu jitsu people. If Wing Chun people designed a professional fighting format, what would it be like? What modifications to the rules or protective equipment would be used? A. Actually, if I were designing it myself, I wouldn’t do it much differently than the way UFC is set up now. I like the way they use cage walls around the ring because it makes it more important to pay attention to your surroundings. I like the gloves they use because they aren’t bulky and they allow you to grip with your fingers. I would still allow grappling, because I think it is necessary to know how to prevent that, and I feel that Wing Chun works just fine against grappling when you train for it. The only big thing I would do differently is that I would allow central nervous system strikes. It makes sense to me to protect the fighters from maiming by eliminating things like small joint manipulations, eye gouges, and knee kicks. However, I think UFC fighters are allowed to expose their spines too easily because they know there are no real consequences for doing so. That area is very vulnerable, and fighters should be forced to protect it intensely. 17. Since most of us don’t walk around with our arms up, how practical is Wing Chun where every technique and practice comes from our arms being up? A. It really doesn’t take much time to get your arms up, and knowing when you should be putting your arms up isn’t very difficult either. In a self-defense situation where someone gets close and attacks without warning, you should use retreating footwork to give yourself time to lift your hands. Unfortunately, it seems that all fighting styles agree on the idea that you need your arms up in order to successfully defend yourself. So for anyone hoping to last in a fight against a skilled opponent without using your arms, you may be out of luck. 18. When does training start to revolve (and focus) around where to strike as well as what our attacks can do to a person? A. All strikes should have a specific target when executed. In Wing Chun, even the most basic block/punch combinations are designed to deliver strikes to a certain area based on your point of contact with an opponent’s arm. So I would say that this focus starts from the beginning. Concepts like pressure point strikes and joint locks are explored at more advanced levels, but the most important lessons about where to strike happen right at the start. The main effect that you’re looking for is your opponent on the ground, unable to continue the fight. 19. Wing Chun has quite a few belts after black belt (at my kwoon, Traditional Wing Chun [TWC] through William Cheung), does that mean a black belt in our lineage does not imply as much training or skill compared to black belts in other martial arts? A. In my opinion, the black sash in TWC requires a higher level of understanding and competency than black belts in most other styles. Now, that does depend on the standards of each particular instructor. Some award ranks easier than others, both in TWC and in other martial arts. It also depends on which skills you value more. A TWC black sash wearer will be more prepared to defend him or herself in a real fight. On the other hand a Tae Kwon Do black belt wearer, for instance, may know more forms or be able to do more jumping and spinning kicks. 20. How many plateaus in training have you (sifu) gone through? How did you get past them? A. I really couldn’t say how many plateaus I’ve experienced. I know there have been issues in my training that were frustrating and lasted much longer than I would have liked, but it’s hard for me to come up with specific examples. However, no matter what the issues were, or how long they lasted, the one thing that is guaranteed to get you past them is persistence. For every frustrating issue I’ve had, there have been moments of enlightenment where all of a sudden things made more sense than they ever did before. I like to call those “Wing Chun Epiphanies”. You may have heard your instructor say something 10,000 times, but one day something clicks for one reason or another and you finally realize why he has been saying it so much. 21. Do you ever feel like not training? A. No. Of course, there are days where I’m tired or sore and it would be nice to lay around and do nothing. However, that would be at odds with my desire to attain and maintain the best Wing Chun technique I possibly can. Sometimes it does take extra discipline to get myself motivated, but I know I’ll always feel better after doing it than if I hadn’t. 22. Wing Chun is rarely seen in professional sports fighting like MMA or boxing. Why do you think Wing Chun is suitable, or not, for ring-style fighting? A. I think most Wing Chun principles apply just fine in a ring fighting environment. The only difficulty in adapting it from its street fighting purpose is the restrictions placed on the techniques you are allowed to perform. When you’re fighting for your life, maiming an opponent is not only allowed, that is often the goal. 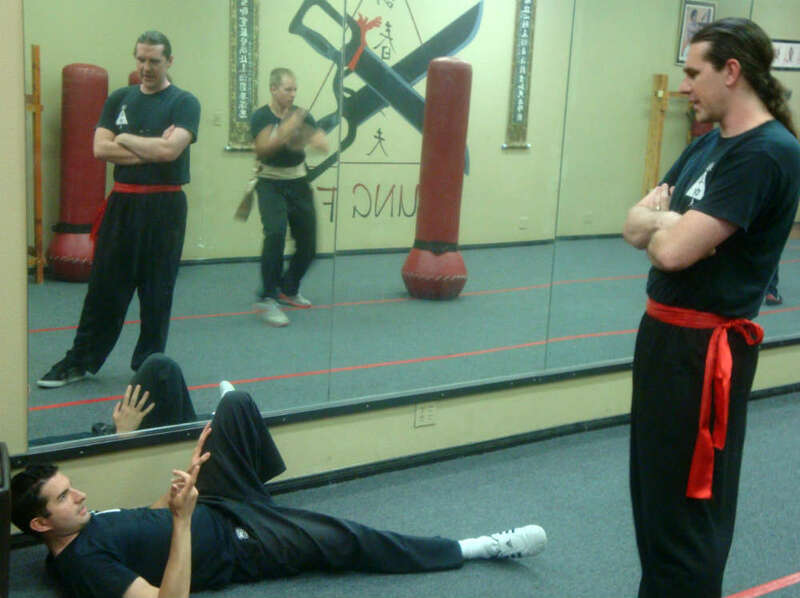 Because of that, a large percentage of Wing Chun attacks are designed to potentially do permanent damage. Most of these techniques go right out the window in the ring, either because the required equipment makes them impossible, or because they just aren’t allowed. These restrictions force you to focus on conditioning and power more than you would have to on the street, but the most basic ideas of positioning and energy remain the same. So as long as you prepare properly, you should have no trouble using Wing Chun in a ring fight. 23. 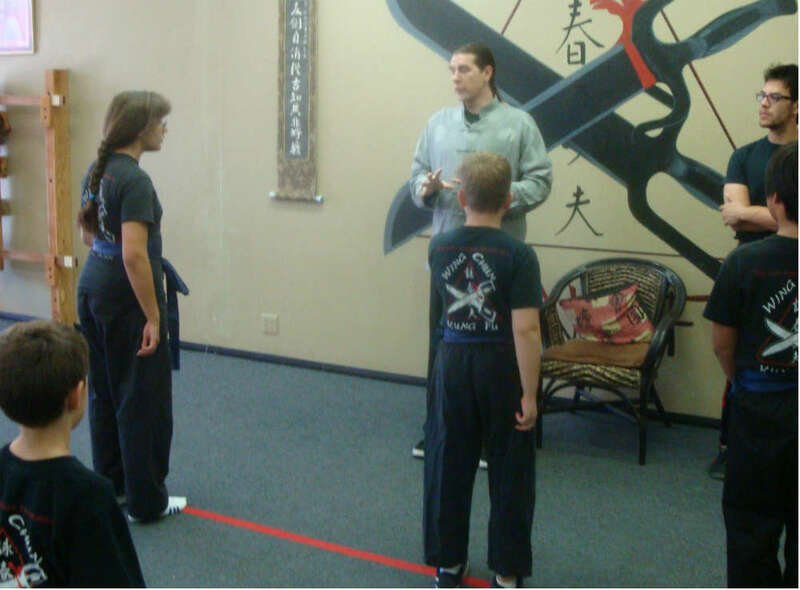 Do you recommend to your students to cross-train in other styles of martial arts? Why or why not? A. In general, I would not recommend training more than one style at a time. The main reason I think cross-training works against you is that no two systems are going to be entirely complementary to each other. While there are styles out there with similar concepts to Wing Chun, none of them are going to form exactly the same habits. I personally feel that Wing Chun is a very complete fighting system and the training is so extensive that if you divide your time with training different habits from two different systems, you could severely hinder your progress with both of them. 24. Wing Chun is a concept based martial art – Occupy the center line, BOEC, attack from the outside, attack the elbow etc. Do these concepts differ from other martial arts, or do you feel that some of these concepts are universal fighting principals whether they are codified in other systems or not? A. I would say there are only two truly universal fighting principles: keep yourself protected, and always move quickly and aggressively. Any martial art that doesn’t address those two themes isn’t really teaching you how to fight. There are two concepts that I feel are very exclusive to Wing Chun. I have never seen another style occupy the center line the way Wing Chun does, both structurally and energetically. Also, even though many styles have techniques that involve the elbow, no other style I’ve seen has the same obsession with controlling the elbow that Wing Chun does. 25. Do the apparent differences in various Wing Chun lineages really matter that much? A. They matter enough to influence my decision about which one to focus on. I prefer the William Cheung lineage simply because I think it has an edge over the others in terms of versatility and effectiveness. I couldn’t care less about the political arguments over which lineage is more traditional or which grandmaster has the biggest ego. I’m interested in the one that works the best. However, the factor one should consider more than the lineage of a school is the quality of the instructor. I’ve been lucky to have been able to find great instructors in all the styles I’ve trained in, and that has influenced how satisfied with my training I was more than anything else. 26. I recently watched a video of a sifu going off on the reasons he doesn’t like Bruce Lee and how Lee has, ultimately, hurt Wing Chun. Do you think Wing Chun owes anything to Bruce Lee? Why or why not? A. Bruce Lee has not hurt Wing Chun. He definitely could have helped Wing Chun more than he did, but without him, I don’t think it would have nearly as much popularity as it does now. I can’t even count the number of students that have told me they wanted to train Wing Chun because of Bruce Lee. In fact, he is the only reason I even heard about it. Wing Chun undoubtedly owes Bruce Lee, if only because he has made more people aware of the style than anyone else ever has. 27. How does an instructor keep his or her skills sharp while he or she is trying to help other students grow (especially lower level/beginners)? A. Interestingly, helping a beginner turns out to be one of the best ways for me to keep my skills sharp. Not only does it force me to truly understand the techniques that I am teaching them, but it lets me test that technique against very unpredictable energy. When students have been training for a while, their energy starts to become very similar. This can become predictable for an instructor who sees and feels it every day. With new students you don’t get that. They all come into class with different kinds of energy and levels of experience, so in a way dealing with them is closer to what it would be like in a real-life situation. This is why it is very important to stay hands-on as an instructor, because every time you help a student with a technique, whether beginner or advanced, your own technique will get a bit better because of it. 28. How do you work on developing good fighting energy and maintaining it? A. 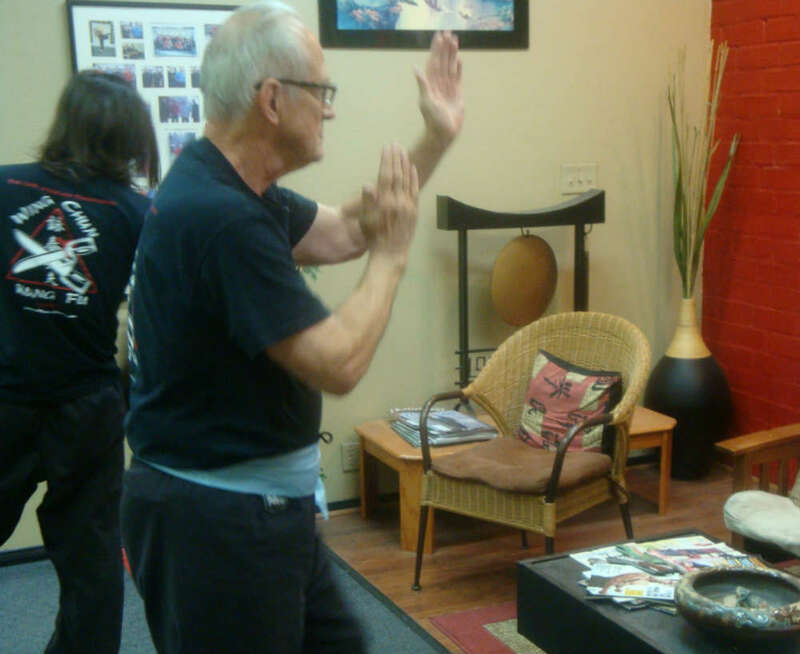 Every aspect of Wing Chun training has one basic purpose: to develop and maintain good fighting energy. So, the short answer to this question is – train Wing Chun Kung Fu! That being said, there are other martial arts that can teach you good fighting energy, but no others will teach you how to be as efficient and effective as Wing Chun will. Now, just showing up to classes won’t magically give you the right energy. You need to focus on certain factors while you are training to feel the energy you need. First, concentrate on being relaxed, specifically in the shoulders and hips. Second, focus your stance and guard forward directly at your opponent’s center. Finally, be on the lookout for attacks coming from the side, because you will need to change the angle of your stance to deal with them. Following those three guidelines is obviously easier said than done, but if you can keep them in mind while you are training they will help keep you on the right track. 29. How can one truly elevate and evolve their technique, without ever truly testing it (is it even possible)? This is an issue I struggle with from time to time, and considerably impacts my motivation to train. One can only practice dry-swimming for so long… and I, like many martial artists, have no intention of picking fights in the street (especially considering the relatively safe standard of living) or even competing in the ring. I’m not asking what motivates you to be a better martial artist, but rather what motivates you to be a better fighter and evolve? A. Honestly, you can’t evolve your technique without testing it. You must constantly test it if you want to see improvement. I would say though, that you can prepare yourself very well for a real fight without actually getting into one. Sparring practice is absolutely essential if you ever hope to be able to use your training in a real fight. I’m not saying it is exactly the same as a real fight, but sparring is the closest you can get without actually being in one. Dry-swimming in martial arts would be like running predetermined drills to teach your body how to execute techniques. Sparring is more like swimming in a pool and a real fight like swimming in the ocean. The more you swim in that pool, the more comfortable you will be when you jump into the ocean. Someone who has only ever fought in a sparring environment is sure to be in for a shock once they experience a real one, but if their sparring sessions have been at a realistic speed and intensity, then they have a very good chance of coming out on top. It is important to understand, however, that it takes a great deal of sparring to get you to that point. So the secret is simply to do as much sparring practice as you can along with your other training. 30. Why is Wing Chun effective in the streets compared to the ring? A. I think Wing Chun is effective either way, but there is no doubt that our training is specialized for use on the streets. In a life or death situation, you can’t afford to make any techniques or targets off-limits and Wing Chun takes advantage of that. There are plenty of techniques in Wing Chun that you can use in the ring, but many you can’t. There is a strong emphasis on attacking the most sensitive targets in order to get the most debilitating effect. This kind of training gives Wing Chun practitioners the skill to end a fight as quickly as possible, but could get them disqualified in the ring.